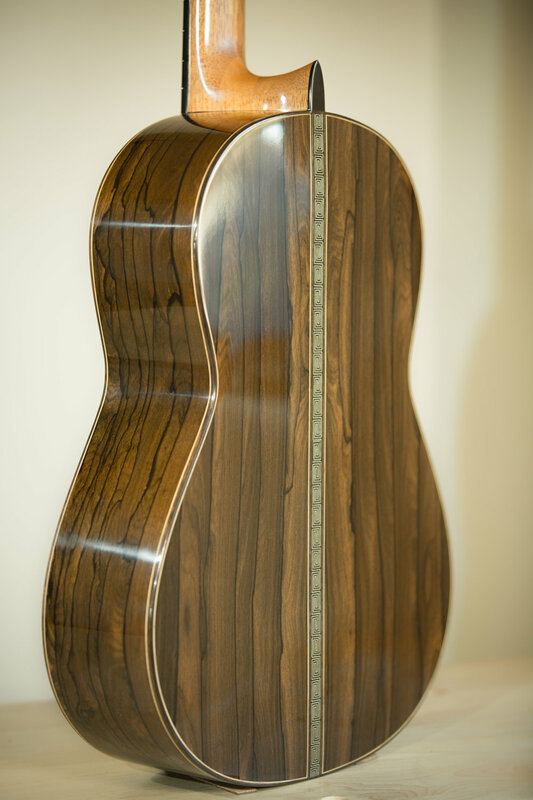 Stunning zirocote back and sides and spruce balsa core DT guitar available. This guitar belonged to the great Matt Palmer he's played this one in concerts for the past 6 months. One of the best guitars I've made. Scale is 650 mm, completely French polished. Back inlayed center strip is of the Torres meander pattern. 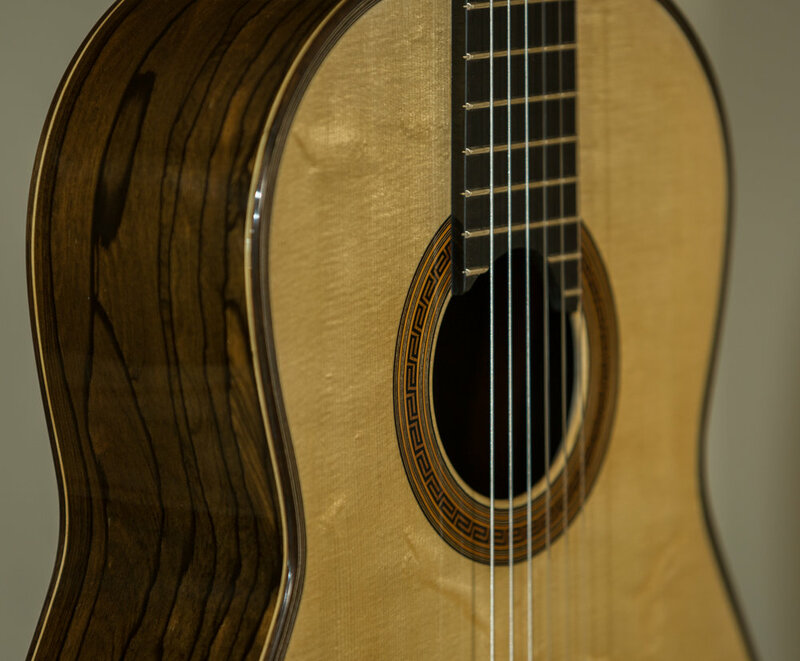 Suitable for international shipping because of no rosewood on this instrument. Can be heard in the video below.